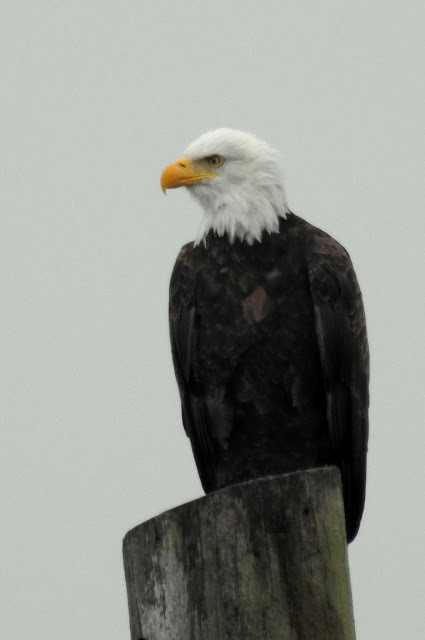 Each visit to Lighthouse Marine Park is different from the preceding ones in some way. The mix of birds varies with the seasons. 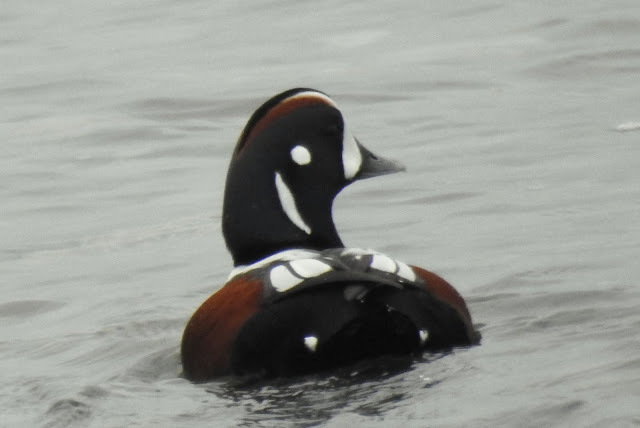 On any given day I may get a great shot of a species I see frequently. After filling my tank with gas I arrived and set out to see what was there on this day. 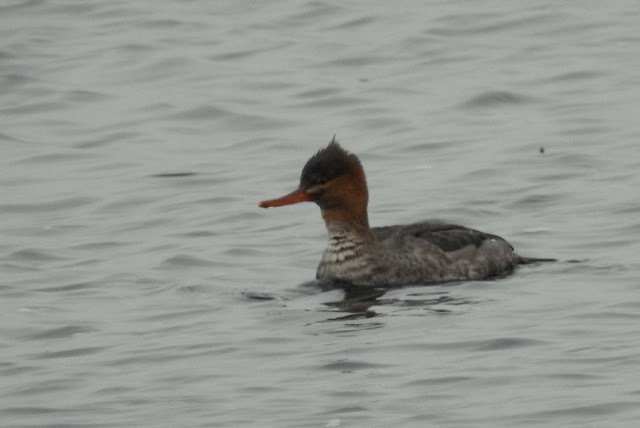 A female Red-breasted Merganser was quite close to shore and I got this shot with the Nikon super zoom. 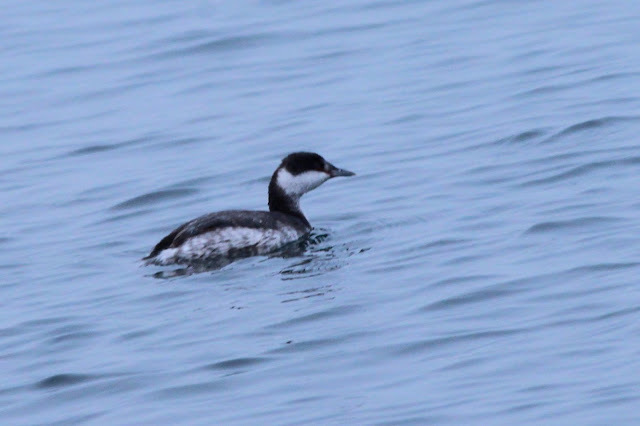 As usual there were a few Horned Grebes close to shore. 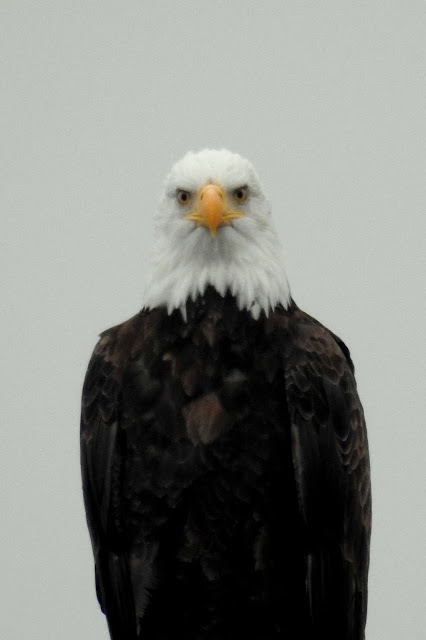 It's hard to believe that this drab bird morphs into spectacular orange, blue and yellow colours in breeding season. 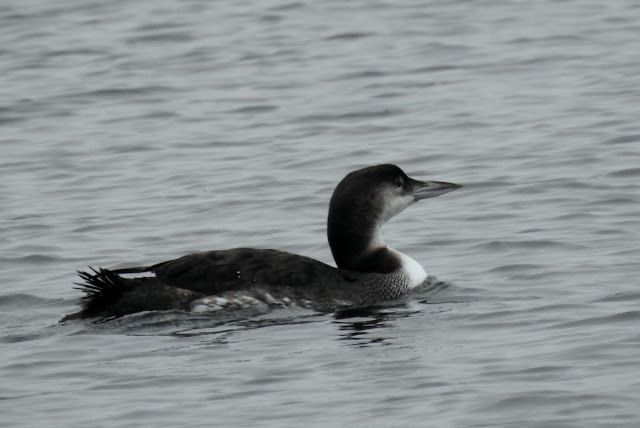 You can always see Common Loon here in winter. This is another species that morphs into something completely different in breeding season. 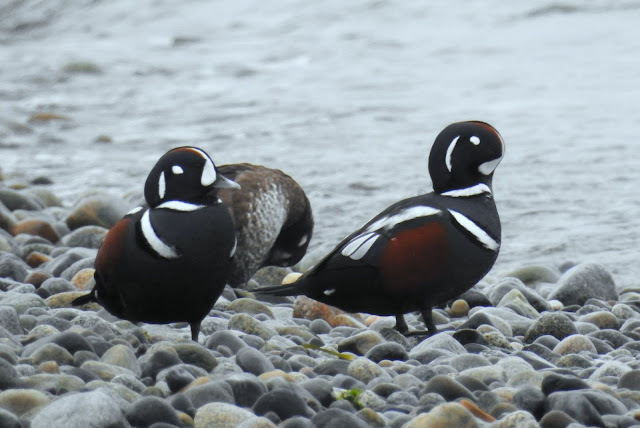 Not so with the Harlequin Ducks, they are spectacular year round. Here's a couple of males strutting their stuff. It's really hard to get a photo that shows their dark eyes. You can see it in this shot. 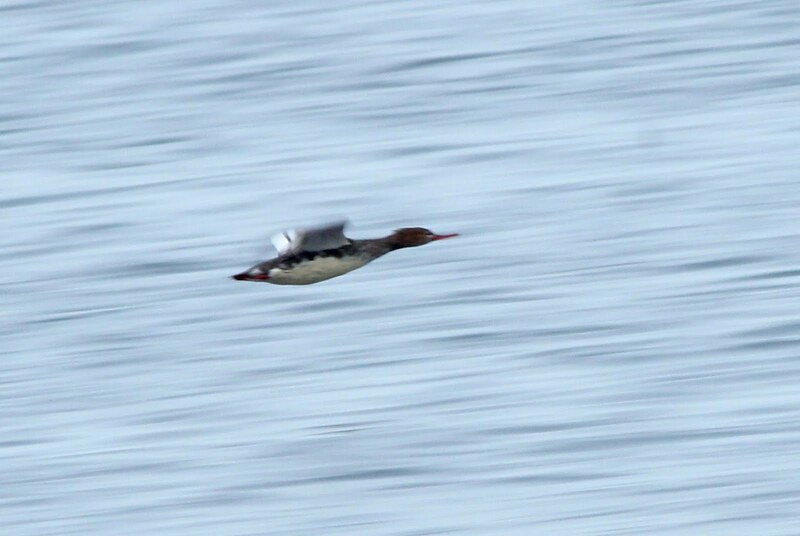 I was lucky to get a shot of a Red-breasted Merganser female flying by at breakneck speed. They have quite a distinctive white pattern on the underbelly and on both sides of the wing. 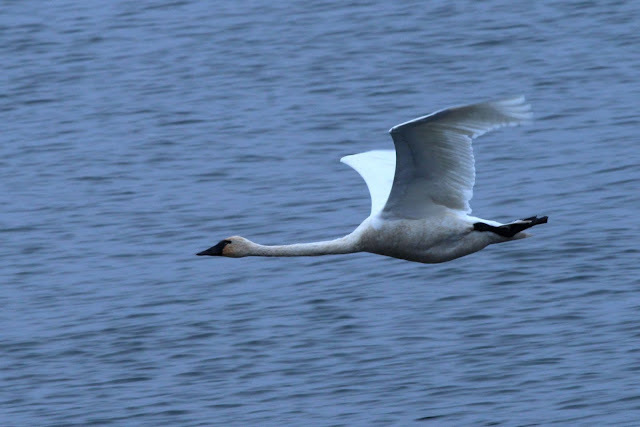 Just as I was leaving a group of Trumpeter Swans flew by. I was slow with the camera but captured the last one in the formation. I headed for home but took some interesting photos there as detailed in the next post.